(as you may be able to tell, it may have something to do with spunkaroo Matthew McConaughey). With four little ones to run around after, my husband and I’s days of watching a variety of TV shows LIVE are long gone. These days we rely on the ability to record shows and watch back when the kids are asleep so we can pause, play, and rewind as we please. 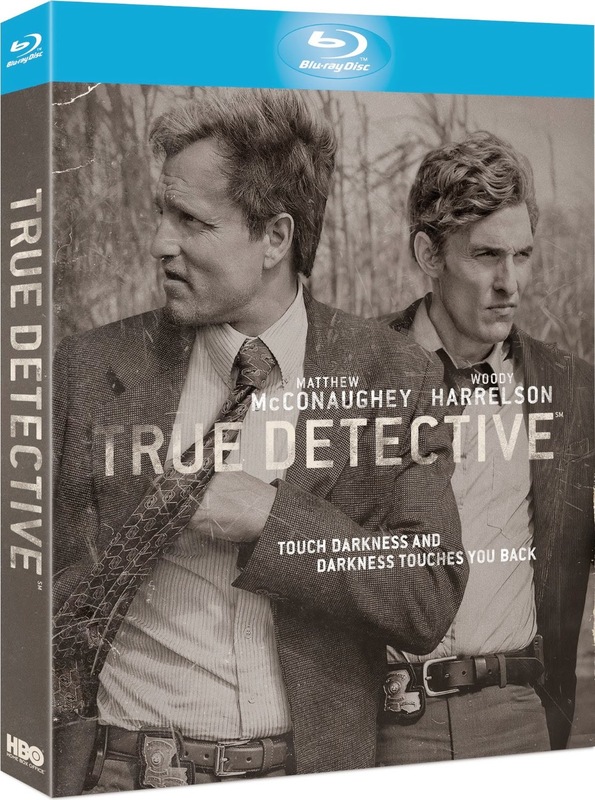 So it was with great pleasure that we were recently provided with the hit US TV show True Detective on Blue-Ray Disc to watch at our own leisure. With such a star-studded cast (the show stars Matthew McConaughey and Woody Harrelson), I couldn’t pass on this opportunity to let you know about True Detective. And, if you haven’t already landed yourself a copy, there is one up for grabs for one lucky Gold Coast Mum reader thanks to Warner Bros! So what is True Detective? It’s a US TV show that has taken the US by storm! The Emmy-nominated first series starred Matthew McConaughey and Woody Harrelson as lead detectives Rust Cohle (McConaughey) and Martin ‘Marty’ Hart (Harrelson). After being assigned a macabre murder by a killer with disturbing occult leanings, Rust Cohle (McConaughey) and Martin ‘Marty’ Hart (Harrelson), partners in Louisiana’s Criminal Investigation Division, become entangled. Their lives collide and entwine in unexpected, sometimes catastrophic, ways. Other cast members include Michelle Monaghan as Maggie Hart, Michael Potts as Detective Maynard Gilbough and Tory Kittles as Detective Thomas Papania. The Blu-Ray Disc also includes various features including behind-the-scenes interviews with cast and crew, as well as unseen footage, and exclusive interviews with McConaughey and Harrelson as well as the series creator Nic Pizzolatto and director Cary Joji Fukunaga. Holy Moly! It’s a must-watch! I’m hooked. What about you? Have you seen True Detective/ what TV shows are your favs? and comment on the True Detective post and/or comment below this blog post. One winner will be randomly selected from the Facebook post and comments below. The giveaway has no affiliation with Facebook. Thanks to Warner Bros for great giveaway! It has a terrific storyline, I'm glad they are doing a second series. Love Woody's movies, can't wait to see this. I love this show! It would be such a good addition to my collection.